Mix circles and textures, then add a splash of brilliant color - you have Ann Lauer’s latest collection, Circle Play. As a quilt artist and pattern designer, Ann knows all the elements needed to make spectacular quilts, and she’s created them here. The “circles” are actually circular medallions with fascinating centers. 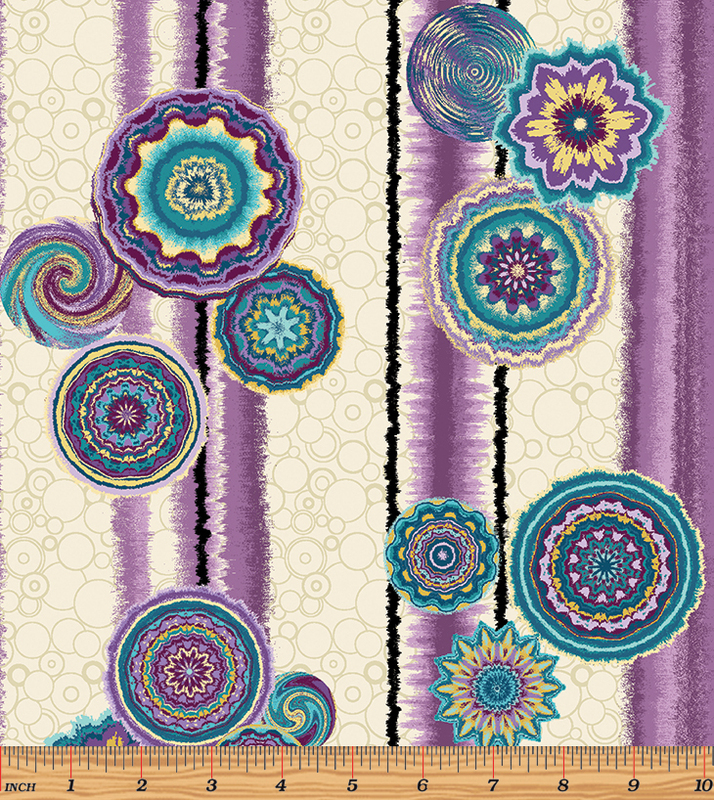 The theme is continued with cool bead prints, waves, an accompanying stripe with circles, and a wonderful collection of painted-look textures for rest patterns with popular colors of purple, turquoise, teal, and gray.